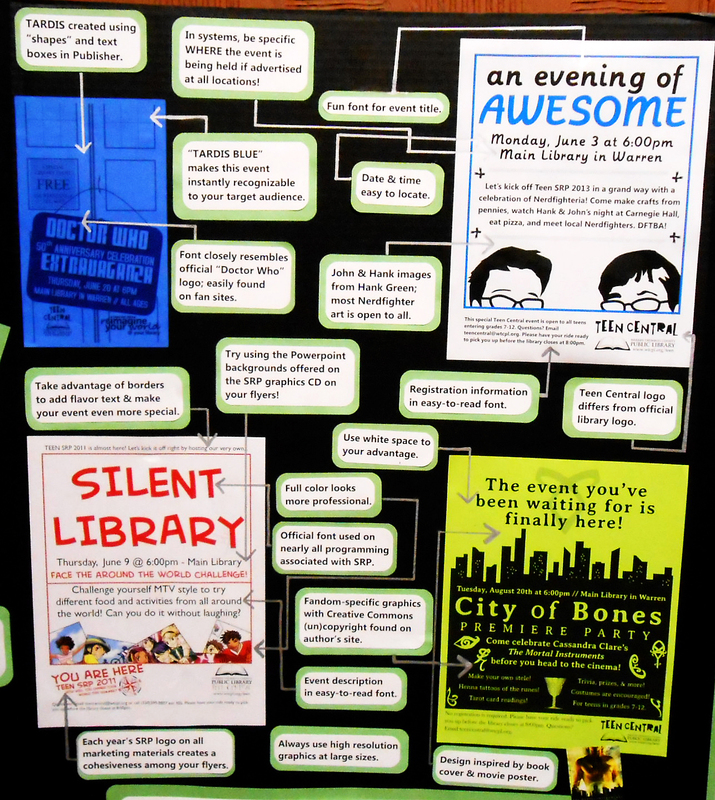 Saw your poster presentation at the 2013 Ohio Library Council Convention & Expo. Lots of fantastic real-world examples. Bravo! Leave it to a musician to be so creative in a non-music way. Just goes to show you that music does make a difference in so many ways. All the best and keep KICKin’ IT IN! OMG! This exactly. I’ve been trying to get a cohesive way to explain why my teen programming flyers must look the way they do in comparison to those of the rest of the youth services department. I’m printing this out! Thank you!